Is Your Family Ready to Have a Pet? Having a furry friend in the family can be an amazing experience, they can quickly become an important family member, and they will bring with them a lot of love. However, deciding when you, your partner and your kids are ready to have a pet isn’t always easy, and there are many questions you need to ask yourself before you take the plunge. Here are some of the ways you can tell that your family is ready to take on the pet-owner responsibility. Is Your Child Comfortable Around Animals? One of the main questions you need to think about is whether your child is happy and comfortable around animals. 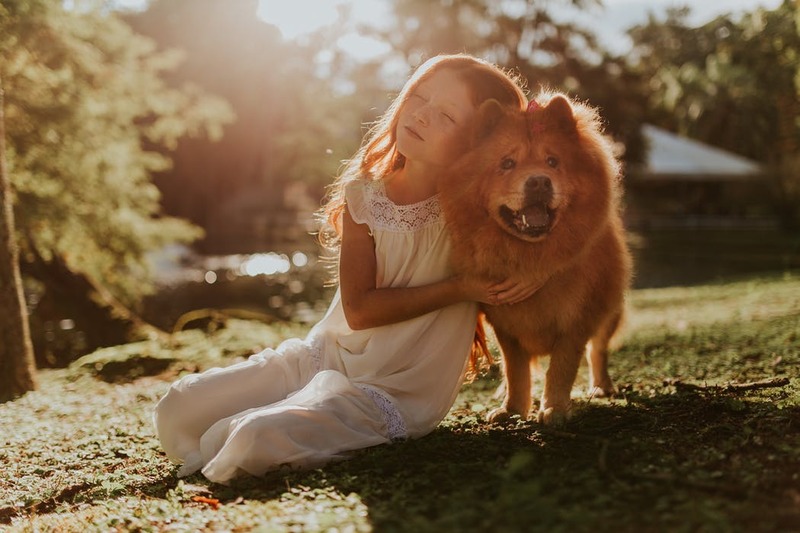 Some children have a natural fear of animals which can be hard to overcome, so it is best to take things slowly and build up their confidence over time. Despite what you might think, getting a pet doesn’t necessarily mean it will cure their fear. It could make it worse, which would be awful for both your child and the animal. Start by taking your child to a local farm or animal sanctuary and let them observe the different animals. You shouldn’t push them to touch any of them unless they feel able. With time, you should hopefully be able to help them overcome their fears. Does Your Child Respect Animals? There are certain levels of behavior that your child needs to learn before they can be trusted to have a pet. It is important to teach them that animals should not be tugged or hit and that you need to leave them alone when they are eating. Not only is it important for your child, but it also establishes an appropriate level of respect for the animal as well. Does your child stroke animals gently and play with them calmly and safely? If they do, then this might be a good sign that they are ready to consider a pet of their own. Is Your Child Good with the Family Chores? Having a pet is a lot of work and responsibility, and all too often, the parents are left to look after the animal after the first couple of weeks. That is why it is a good idea to see how your children get on with their family chores. If they are responsible enough to do their tasks when asked to and do them to a satisfactory level, then this shows they could be responsible enough to help look after a pet. For example, if you get a cat and it requires PetAction flea treatment, it will be helpful if your child can help by finding the cat for you and try to keep it calm. Can Your Child Do Tasks Unsupervised? Depending on the age of your children, it might not be possible for them to do all of the tasks for the family pet. Some of the responsibility for looking after the pet will have to be supervised by the parents until the child is in their early teens. Then, they can do other things such as walking the dog and taking part in training. If your child can do unsupervised tasks without prompting, then it may be that they are ready to help look after an animal. Even if your child is a responsible owner, it is still a wise idea to check on them occasionally just to ensure they are doing well. Is Having a Pet a Passing Phase? Having a pet is a long-term commitment, and this can be difficult for children to understand. Even the most dedicated of pet owners may feel that looking after their pet is a chore at times. Judging whether your child is ready for this type of commitment isn’t easy, and you should expect that their interest might wane after a few weeks. That doesn’t mean that they are bad at looking after their pet, it just means that you as parents might need to help them out with some of the care. Will They Be Happy with A Pet That is Right for Your Family? Not all types of pet are suitable for everyone, some homes are too small for large dogs, and some families are out for too much of the day to have any dog. Although your child might have a pet in mind, they will need to sit down with you and discuss the practicality of each pet. If you are unable to get the one they want, will they be happy with that? It is important that they are happy to care for the animal you choose. Sometimes a certain animal can be beneficial to a child if they have specific needs. For example, if your child has a lot of energy, then a dog could be a good way to help them use up that energy. If they are old enough, they can walk the dog or take it to the park, or you can all go as a family. Is the Whole Family Happy to Get a Pet? Owning an animal needs to have the support of the whole family, it is vital that you all discuss the needs and implications of owning a pet and that everyone has agreed. If there is anyone that isn’t happy with the idea, then it might cause problems and unhappiness which you won’t want. Perhaps a good way to be sure is to have a trial period of ownership? If you know someone that is going away for the weekend, then offer to take their dog and look after it while they are away. It can be a good way to see how the children react to having an animal around. Some animals such as cats can get stressed if taken out of their home, so that isn’t advised. Hopefully, if you can answer all of these questions and you are still happy with getting an animal, then it means you can start to pick one that is right for your family.